Spread butter over outsides of bread slices. Turn slices over and cover two of the slices with cheddar cheese. 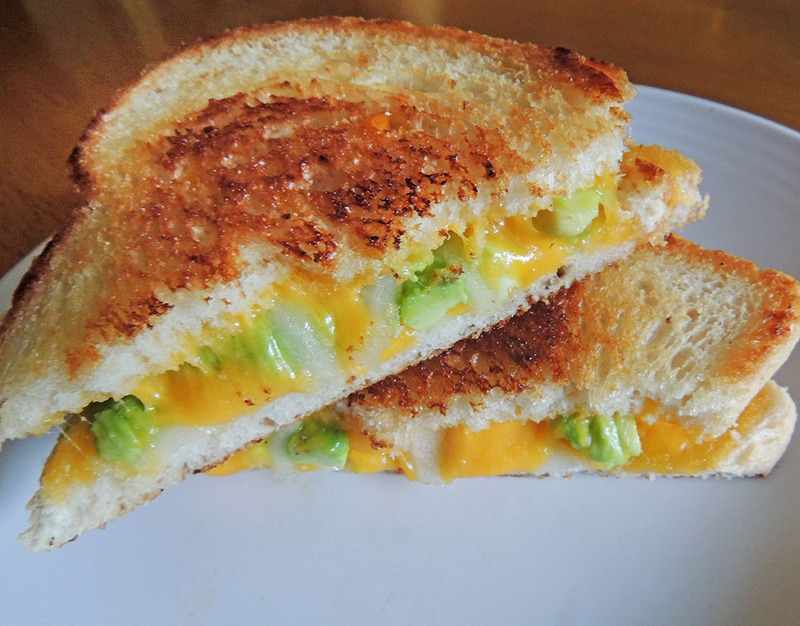 Layer with sliced onion and avocado. Top with other bread slice, buttered side up. Heat a skillet over medium heat. Place sandwiches in skillet and cook until bread is golden. Turn and cook, pressing lightly with a metal spatula, until cheese has melted. Serve hot.